Tuesday saw the second edition of the exclusive EGR Technology and Innovation Summit held in Syon Park, London and FunFair’s founder Jez San OBE was invited to take part in an on-stage interview for the closing session. In front of an audience of leading C-level executives, product, technical and wider gaming professionals, Jez was interviewed by esteemed blockchain personality Thomas Power as part of an hour long session on all things blockchain and what it means for the casino industry. The opening saw Power delve into San’s history, touching first on the video games sector, before running through his time with PKR and on to his current involvement in the crypto-space, before tangenting off to talk through wider definitions of the blockchain and the key figures shaping the decentralised world. 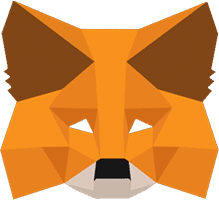 It was then that San explained his vision – now a live product in the shape of FunFair Technologies – of how blockchain could change the gaming space for the better on the basis of transparency, fairness and player custody of funds. With blockchain now accepted as one of the key disruptors of the future of the gaming sector, yet not fully understood by all in its full potential, San went on to define the advantages of smart contract-based casinos and how they solve the issue of player trust through provable fairness – something that is engrained in every step of the FunFair process. The insightful conversation then went on to discuss the wider business implications of the FunFair model with San commenting “everything is cheaper when running on the blockchain” due to the lack of server costs and third-party solutions required. There was also significant intrigue in the room when the talk came onto the prospect of pop-up casinos and how the FunFair model can facilitate adoption by offering casino licences initially at a significantly lower cost to the house. Questions then followed on regulation in the blockchain space, with a general consensus reached that the Malta Gaming Authority is making the right moves for others to follow. Blockchain scalability was also discussed, with FunFair’s unique solution through its Fate Channel technology helping explain how this can and will be overcome. 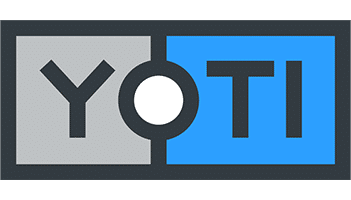 The lively interview certainly caught the attention of the crowd, with the tone suiting both the blockchain layman and the crypto-savvy at different times. Throughout the exchange, the values that FunFair lives by drew many previously unaware gaming professionals in, particularly when San responded to the issue of traditional casinos not having sufficient bankroll by saying “the casino must be able to afford to pay players their wins immediately”, and to not have this backstop is fundamentally unfair and a measure that could, and is exploited. At a show that championed future technologies and exciting innovations, blockchain remained a theme throughout and Jez’s impassioned and detailed talk on how it will change the industry for the better was a fitting end to what was a successful day. 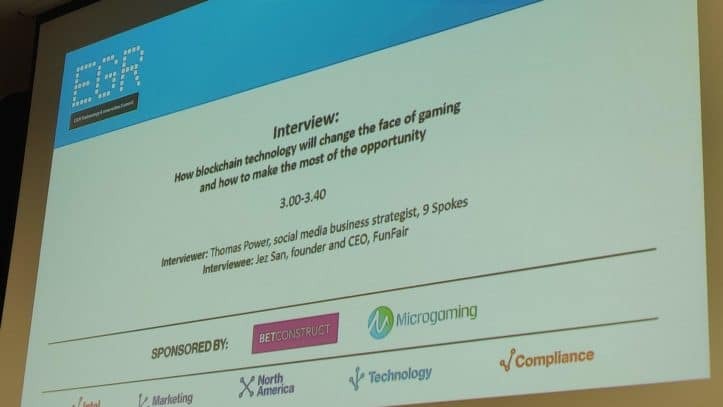 One extremely reassuring aspect for those involved in the space was that in the 18 months since FunFair Technologies was first founded, the knowledge of blockchain in the average gaming show delegate has increased considerably. People are taking note of the technology and acknowledge its’ potential to positively disrupt their strategies in one way or another, and are now understanding the need to embrace and innovate accordingly.